The government can't really turn your phone back on. But it can keep the phone from actually turning off. Even if you power off your cell phone, the U.S. government can turn it back on. (Jose Pagliery @ CNN) That's what ex-spy Edward Snowden revealed in last week's interview with NBC's Brian Williams. It sounds like sorcery. 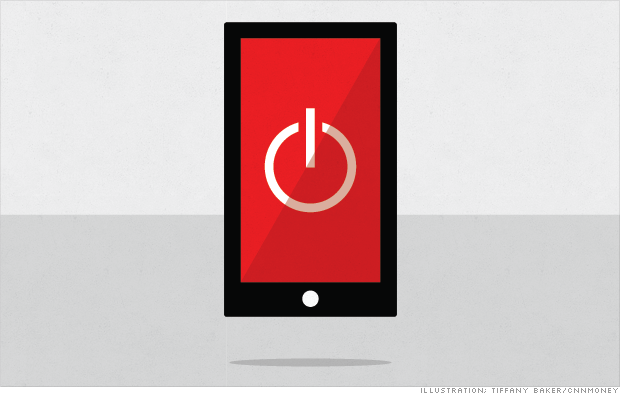 Can someone truly bring your phone back to life without touching it? "The only way you can tell is if your phone feels warm when it's turned off. That means the baseband processor is still running," said Pirc, now chief technology officer of the NSS Labssecurity research firm. For Android users, recovery mode varies by model. Android Magazine has a great tutorial here. Create a barrier. Use a signal-blocking phone case. You can buy them (Off Pocket,HideCell) or even make your own -- assuming you have the patience to do so. Silent Circle, a company that enables top-end private communication, kept these issues in mind when it co-created the Blackphone. It has a removable battery. It uses PrivatOS, a stripped-down version of Android that reduces tracking. And because spoofed cell towers can target its antennae too, Blackphone's makers are working with chipmaker Nvidia (NVDA, Tech30) to develop their own custom, more secure baseband chip. Silent Circle CEO Mike Janke, a former Navy SEAL, said they designed the phone based on revelations that the NSA can find powered off phones and the FBI can tap their microphones.